In today’s competitive business environment business has evolved from simple to a very complex form and has become more challenging and rewarding as ever. Change has always been a constant in the business world. Yet in recent years it has hit us with an unprecedented speed and intensity. Our prosperity as organizations depends on the extent to which we can adapt to these changes and deploy them to our advantage. The techniques to work today are entirely different as it used to be earlier. With companies indulge in extreme competition raising their service standard to their customers and clients expectations. Software companies are constantly striving for advanced techniques to satisfy their clients with the best of their efforts. Sales force automation is one of those technique of using software that automate the business tasks of sales. It helps to drive sales productivity, user adoption and consistent best practices with sales streamline. It also automate your sales processes and enable sales people to create a single view of customer to help ensure a shorter sales cycle, higher close rates, and improved customer retention. B square is one such software company that closely work on the vital aspects of sales force automation including order processing, contact management, information sharing, inventory monitoring and control, order tracking, customer management, sales forecast analysis and employee performance evaluation. B square thinks that getting the right business software gives sales professionals fast access to useful data online or offline so they can work efficiently and spend more time selling. 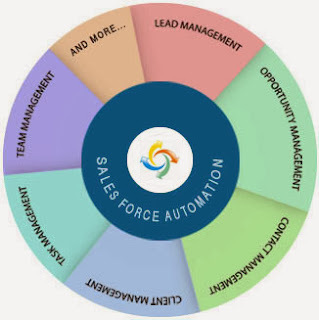 Sales force automation typically a part of a company’s customer relationship management system that automatically records all the stages in a sales process including a contact management system which tracks all contact that has been made with a given customer, the purpose of the contact, and any follow up that may be needed. Thus, sales force automation is the future which is becoming more and more popular specially in the automobile industry, where patrons can customize various features such as color and interior.